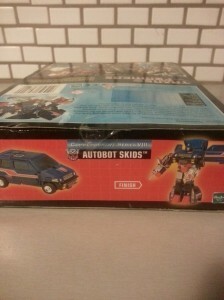 Here’s a new one I just got from Ebay – Skids. 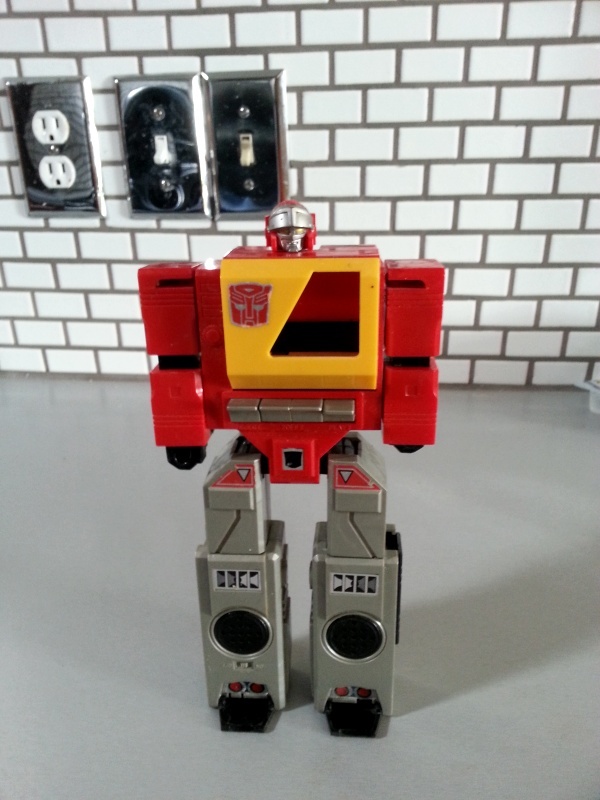 The original came out as part of the “Diaclone” series (pre-Transformers) back in the 80’s. 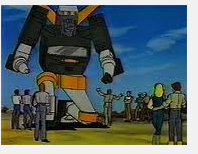 I vividly remember seeing this as a kid in Japan while on vacation in 1983. 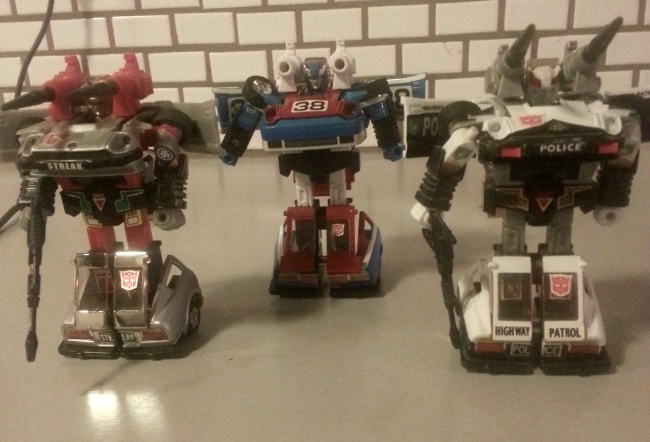 I didn’t think too much of them because I was intent on getting the big Godaikin robots. 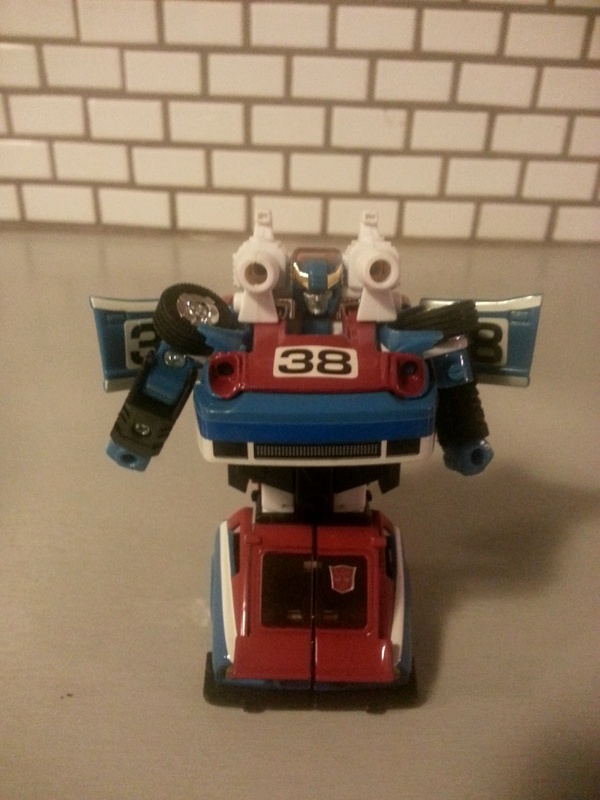 Anyway, I took him out of the box and put on a few of his stickers so that he would look good for his picture. I have left all the accessories in the box because I don’t want to lose them. 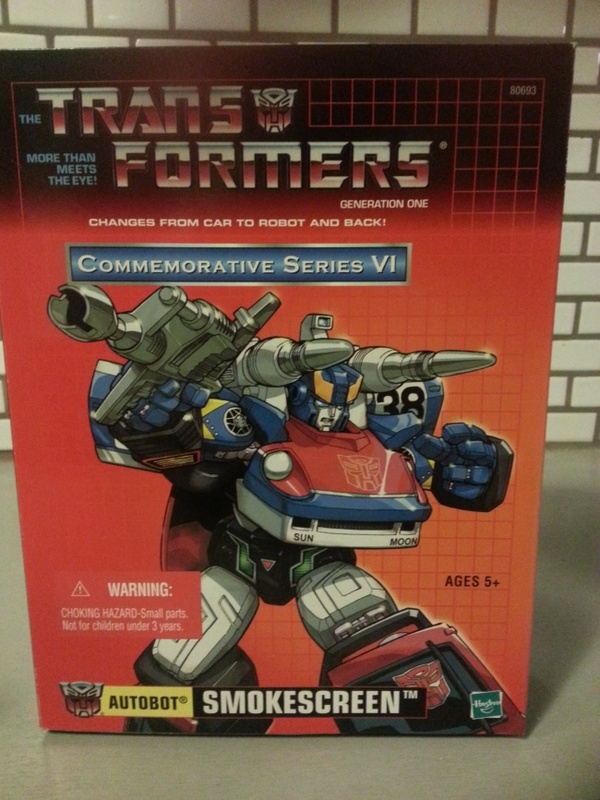 Here’s a brand new in box, Toys R Us reissue Smokescreen from the early 2000’s. 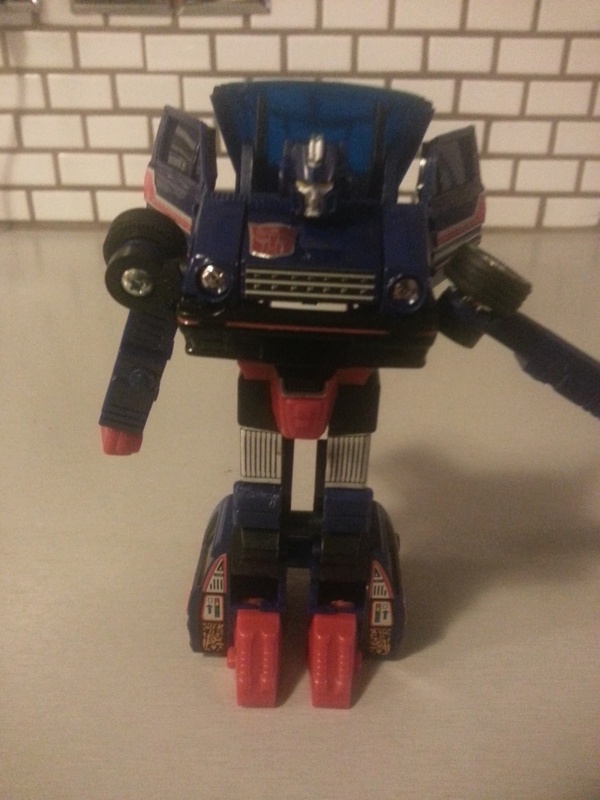 I just picked him up on Ebay for a pretty good price – I think it was about 35. I don’t recall ever having this one as a kid. I now have all the Datsun 280 ZX molds. 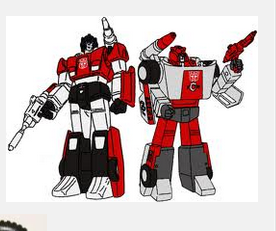 The other two are Silverstreak and Prowl as pictured below. 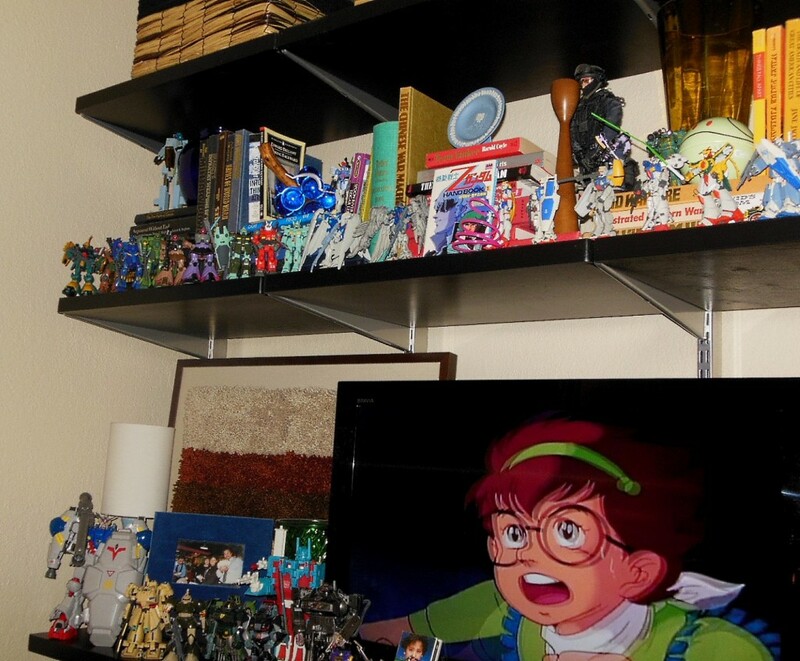 Here’s most of the Gundams that I have recently purchased. 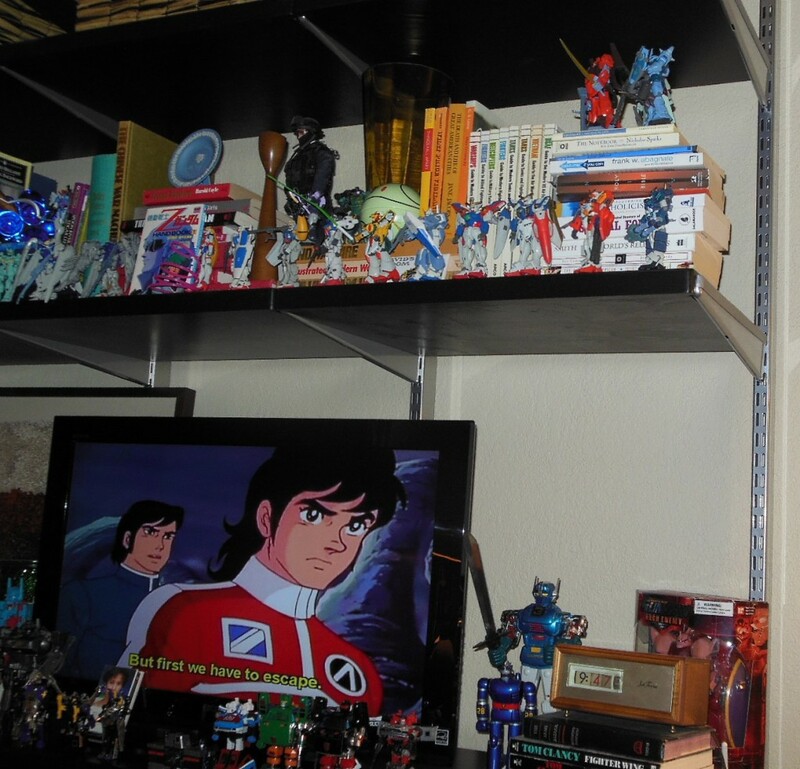 The 3 on the top shelf are models, that I’m displaying since the models may get broken if I try to re-pack them. 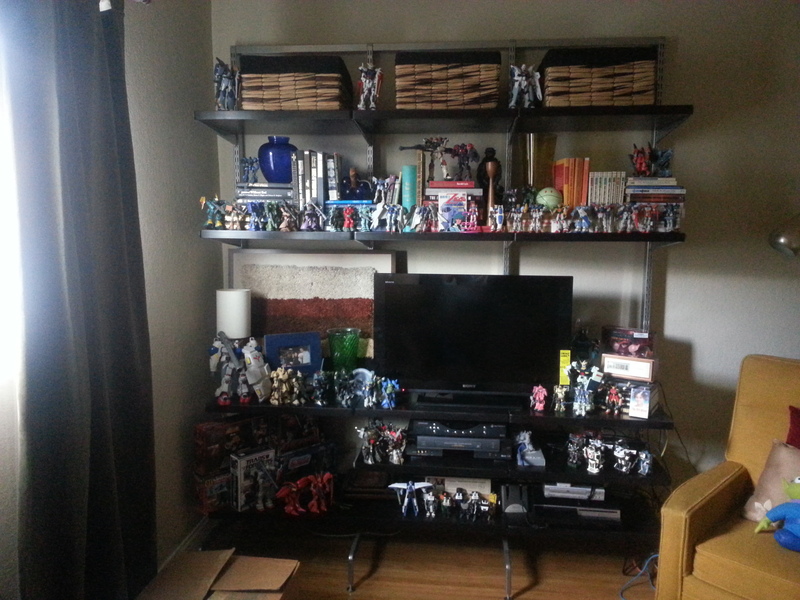 Most of the stuff I have displayed are Gundam but I have a few Transformers and Diarobos since they’re small. 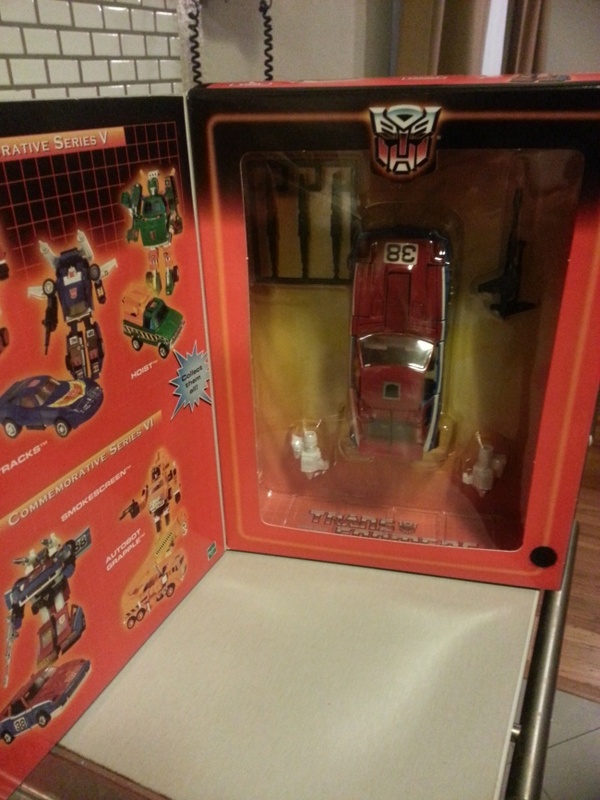 I didn’t collect many Transformers after G1 save for two Alternators and this Sideswipe G2 that I happen to spot loose in a collectibles store. I bought him as I have the other two Lamborghini G1’s (see 2nd image – Sideswipe – Red and Red Alert – Fire chief) and I thought it would be cool to have the set. My cousin gave me the yellow Sunstreaker for Christmas and I now have all 4 Lamborghinis. 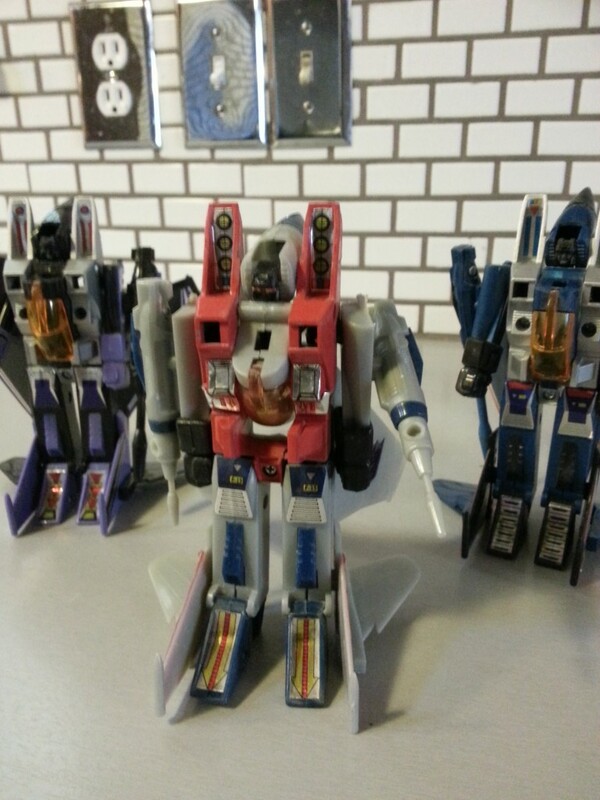 Here’s the 2nd set of planes issued for the Transformers G1 – Thrust, Ramjet, and Dirge. 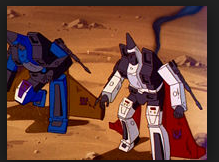 I didn’t realize they call these the “Coneheads” because their heads are like cones (although I’ve kept their nose cones down as I like them better that way). Anyway, I just picked these up today. 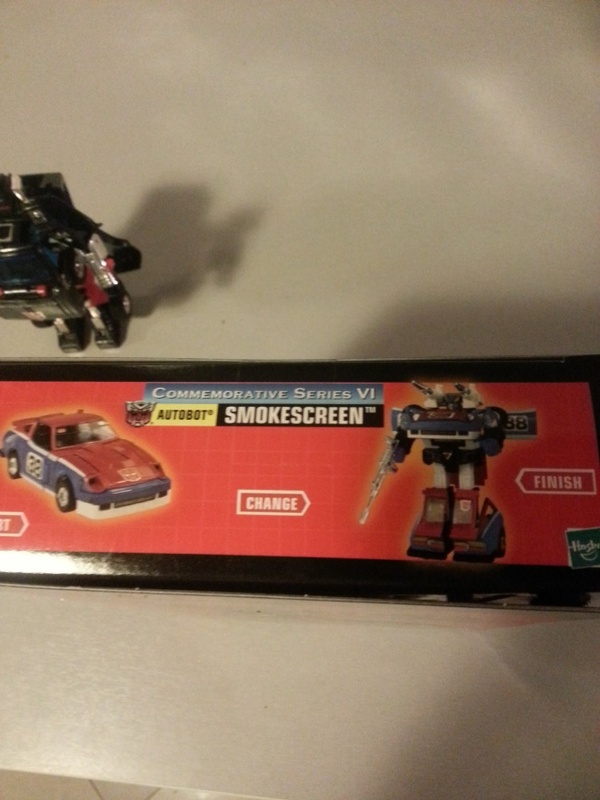 I wasn’t originally a fan of these in the beginning as I liked the Autobot cars more but I had the original three planes from season 1 (see 3rd image – Starscream, Skywarp, Thundercracker) so I decided to get the next three (season 2) to complete the set. 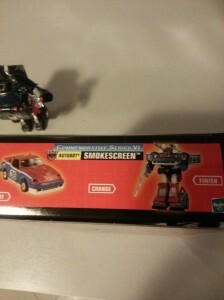 These were not re-issued as part of the reissue series in the early 2000’s. 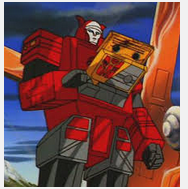 Evidently, there is another plane from season 1 called Sunstreaker that I have seen online but I don’t recall him as a kid. 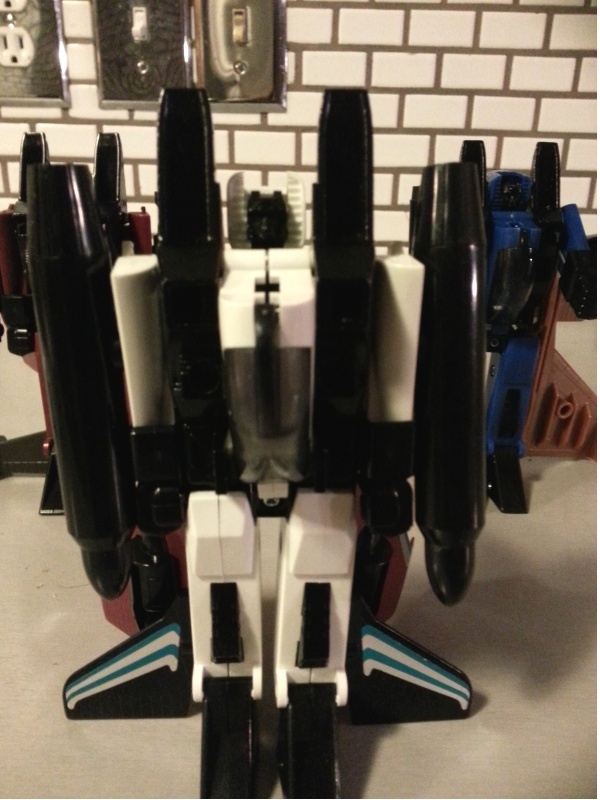 I just found the sticker sheets for these planes for cheap and I’m hoping to get them soon as there are no stickers for the eyes, feet and wings so they look kind of barren at the moment. The person I bought them from didn’t put the stickers because he said that over time, the stickers would come off anyway. 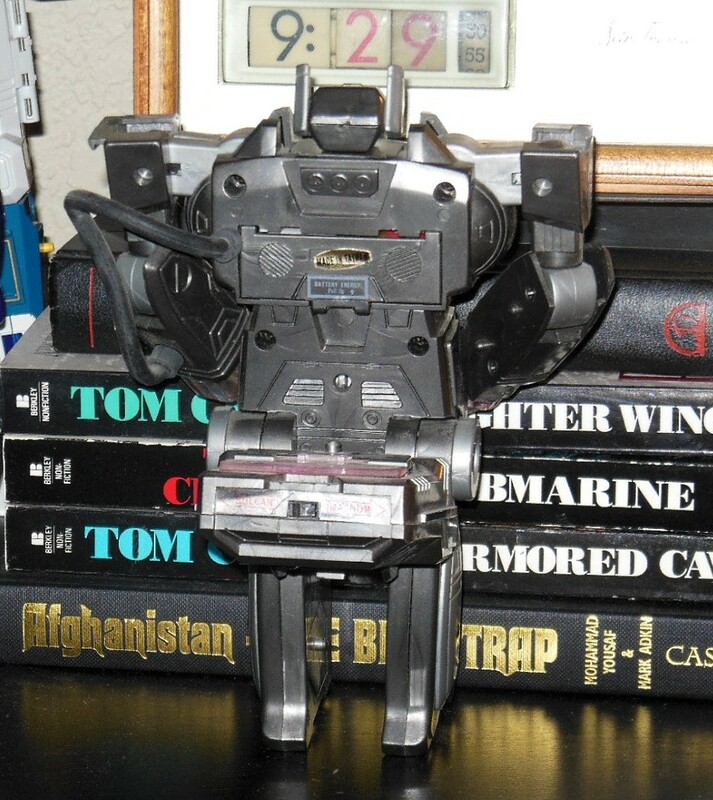 Here’s a loose Blaster that I don’t recall how I got but it’s cool because I now have the Decepticon’s Soundwave (both tape player mechas). I understand that the complete set of this toy also has the Autobot cassettes Eject and Ramhorn. 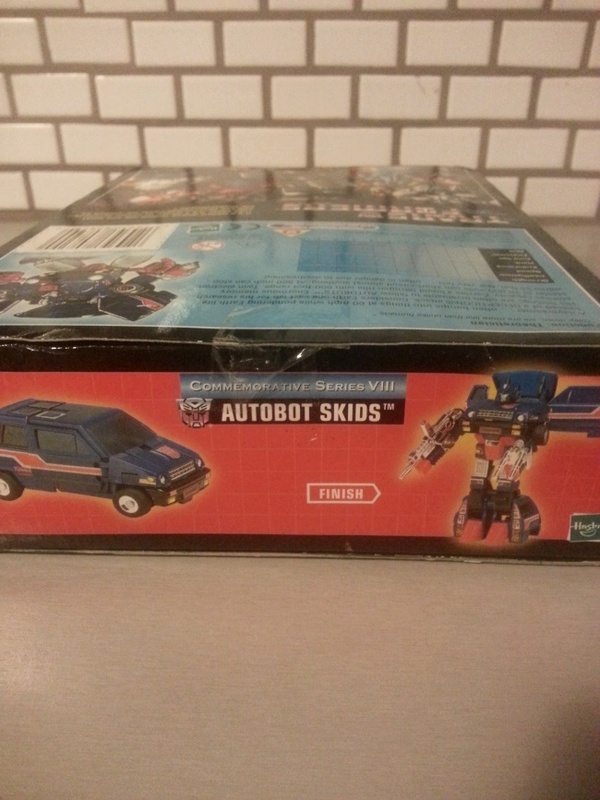 The other two Autobot cassettes (not included) were Rewind and Steeljaw. This one’s another clone that I bought at a fair. 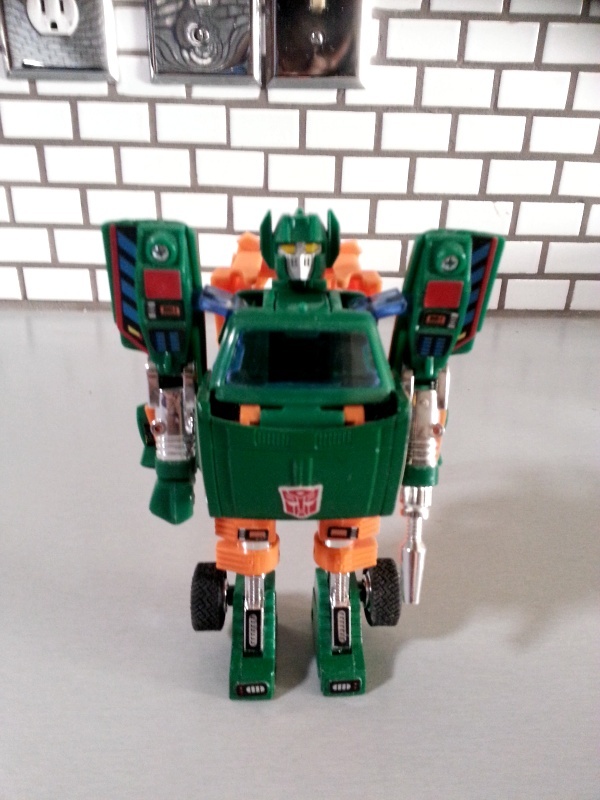 Not sure if this is the Shackwave, Galactic Man or Astro Magnum. 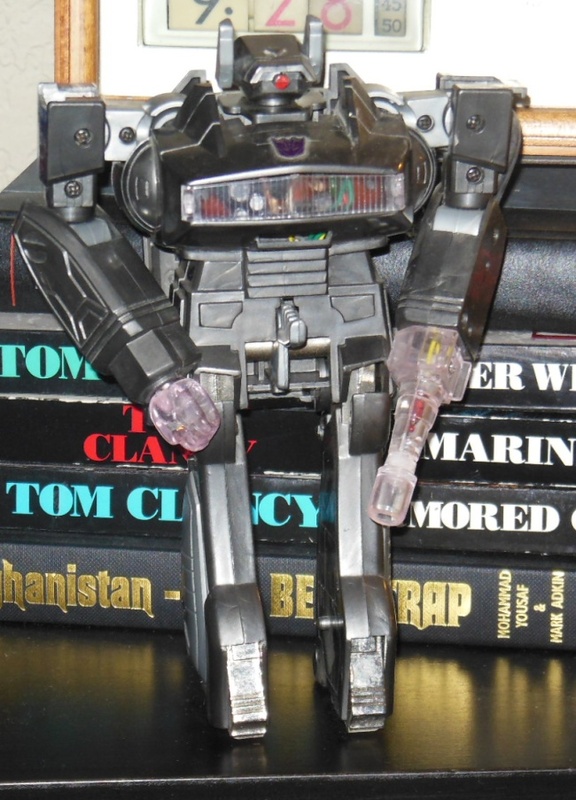 I can’t remember though… I originally bought this before he was featured in Transformers but lucked out when they introduced him as Shockwave. 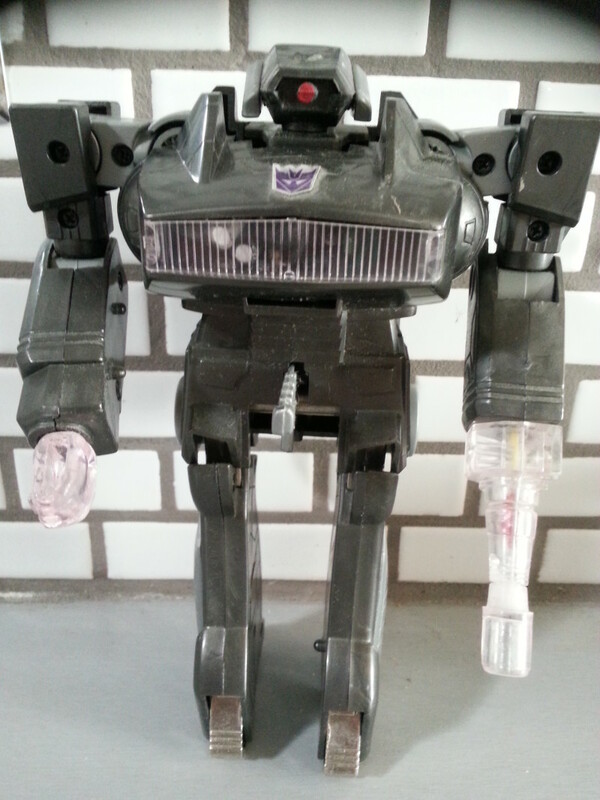 I had some extra Decepticon stickers and slapped them . 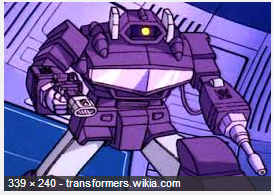 I think the original version is more purple while mine is just olive green. 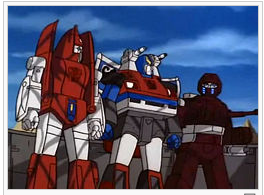 Shock wave – Transformers Decepticon from the Generation 1 cartoon – Thank you Transformers Wikia! These are original from the 80’s. 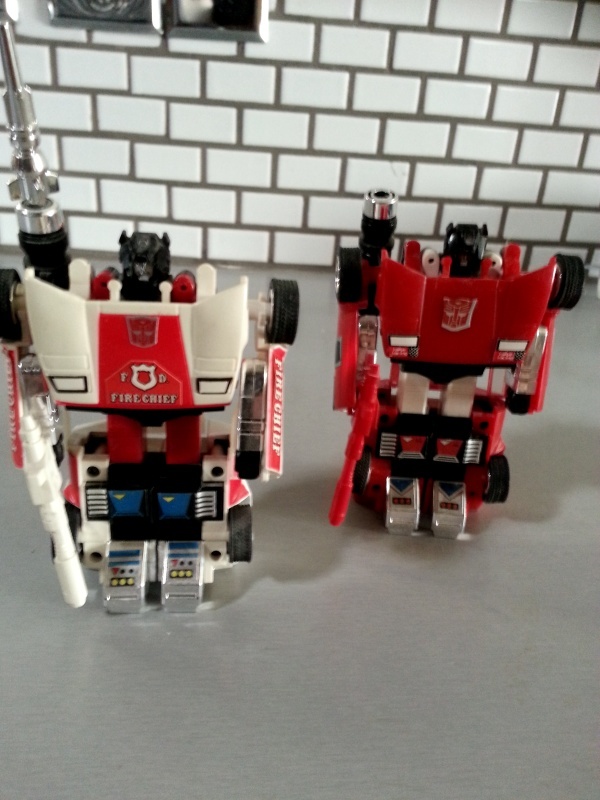 I got Red Alert in Japan along with Inferno. I thought they made a good set since they were both firefighters. 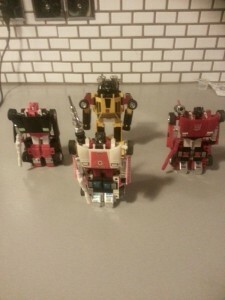 I also have a G2 Sideswipe and Sunstreaker. 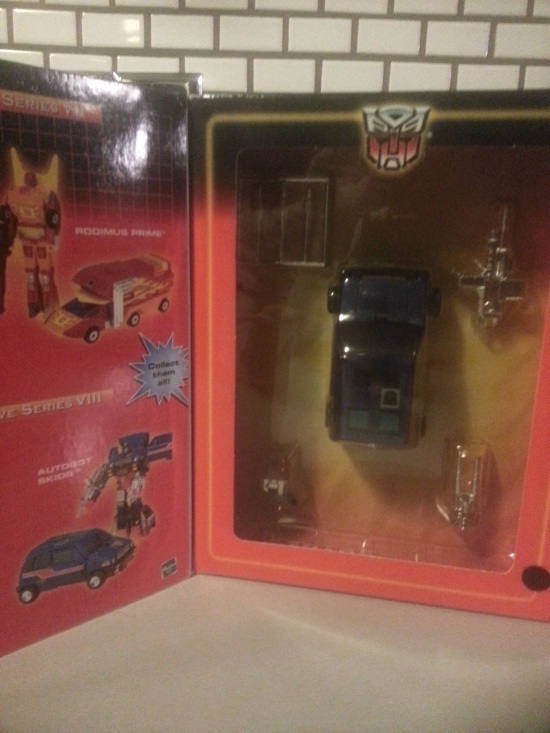 I now have all 4 Lamborghinis. 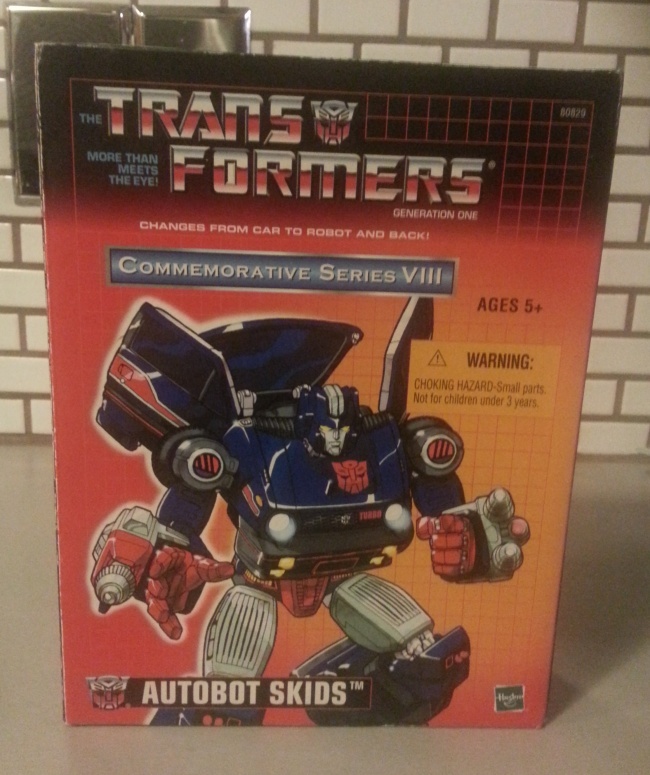 Here is another Toys R’ Us re-issue from the early 2000’s I added to my collection. I never had the original version. 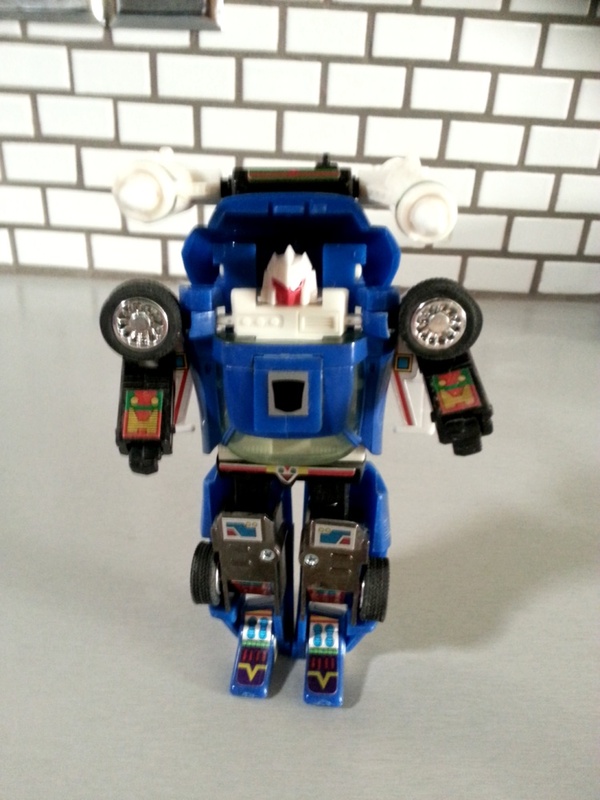 These were a great alternative from the Japanese The Transformers Collection from Takara which were $60-$80 at the time. 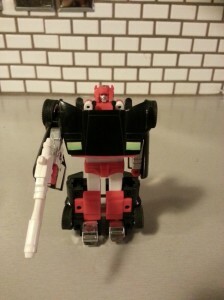 I also have the Trailbreaker, which was the original mold for Hoist. Here is Tracks. I never had the original one. This is another re-issue purchased in the 2003 from the Commemorative Series. 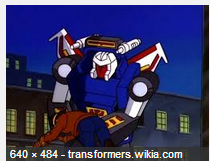 Here is Tracks from the Transformers Generation 1 cartoon courtesy of the Transformers Wikia.